5 Ways To Save Big on Your Wedding Day Expenses! We all want that big, fat Indian wedding but the rising expenses often make some people compromise on their dream wedding. We believe that every dream wedding should come true and we will tell you ways to make yours a reality on a budget! There are plenty of ways to cut down on the wedding expenses and the seemingly important things can be altered in tiny ways to cut down on costs. Although these tips will help you save a lot, they won’t alter your tasteful wedding in any way! Every bride-to-be wants that perfect wedding lehenga that would look absolutely stunning on her! While you may have a designer lehenga on your mind, why not give rented lehengas / custom made lehengas a shot? Many vendors offer designer lehengas on rent for less than half the value! You can also browse through fabric stores and find the perfect ones for yourself. There are many tailors in the city who can replicate the exact design you have in mind! 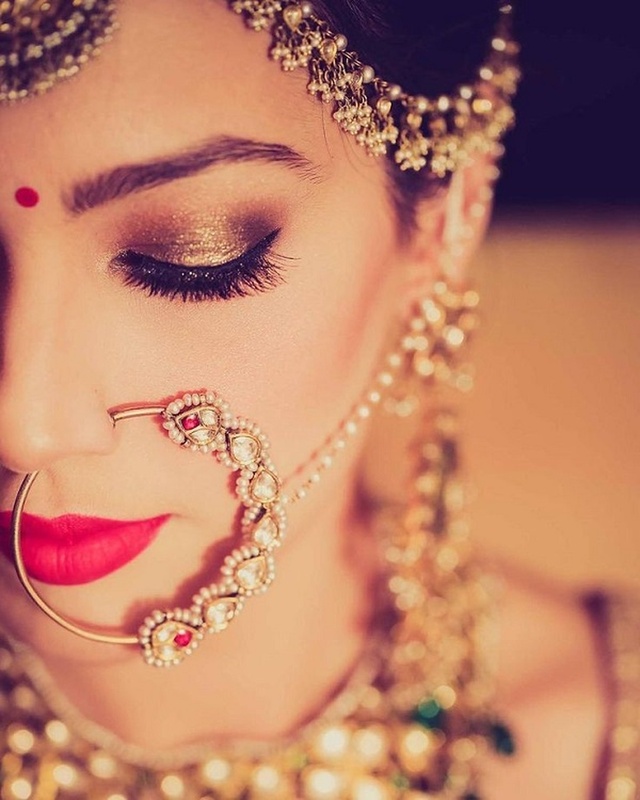 Unless you are buying the jewellery as an investment, it’s always better to go with rental jewellery for your big day. This helps you save a lot of money that you could invest in a home or a holiday! You can also opt for costume jewellery that look exactly like the real deal! Instead of renting out venues for all the events, why not host the smaller functions at home? You can host haldi, mehendi and sangeet at a friend’s farmhouse or on the terrace. Like we said, a little planning goes a long way! Indian weddings have a lot of functions like pujas that can be easily clubbed together. Instead of hosting these events separately, merge them into one event and cut down on your guest list for the same. Weddings are intimate affairs and while Indian weddings do have an exhaustive guest list, it’s okay to keep some functions only for the immediate family. We understand that you want to treat your guests to nothing but the best but tweaking the menu in little ways doesn’t make much of a difference. Most caterers have an exhaustive menu with multiple items from each category. Most of your guests won’t even get to taste so many starters! Reduce the number of items in the same category and stick to classics that everybody loves. It saves you a lot and the caterers can’t get it wrong! Also, choosing seasonal fruits and vegetables for the menu can be a big help!